Thrivewell Infusion has a dedicated team of clinical and administrative support for quality patient care and comfort. Our experienced physicians, nurse practitioners, pharmacists, concierge care coordinators, and leadership work together to provide a patient-centered approach to your individualized treatment within our state-of-the art infusion suites. Led by the Thrivewell’s Medical Directors, Dr. Vikram Sengupta and Dr. Sascha Qian, our clinical team collaborates for a caring and compassionate approach toward care for a comfortable patient experience and quality clinical treatment. 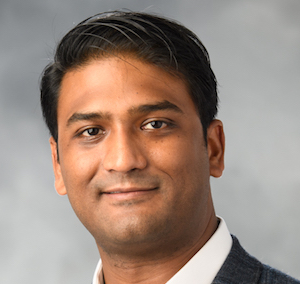 Born in Florida, Dr. Sengupta grew up in Bloomfield Hills, Michigan and attended Cornell University in Ithaca, NY, majoring in Neuroscience and graduating with honors before moving on to the Yale School of Medicine in New Haven, CT, where he earned his MD. He completed his residency in Internal Medicine at the Albert Einstein College of Medicine in New York City, receiving several awards there for clinical distinction and received fellowship training in interventional pain management at the Spinal & Skeletal Pain Institute of Utica, NY. He is board certified by the American Board of Internal Medicine and holds licenses to practice medicine in New York and Massachusetts. Dr. Sengupta is committed to delivering personalized care in a safe, comfortable and convenient setting for all of his patients. He is an active member of the Medical Society of the County of Kings (MSCK), and has written multiple book chapters and abstracts in the fields of internal medicine and pain management. In his spare time he enjoys reading, playing the guitar, and spending time with his family. Dr. Qian grew up in Atlanta, GA and attended Stanford University, where she completed her bachelors of science in biology with a minor in mathematics, graduating with Phi Beta Kappa and honors before going on to Yale School of Medicine in New Haven, CT where she completed her medical degree. She then completed residency training in anesthesiology at Columbia-New York Presbyterian Hospital in New York, New York, followed by a fellowship in interventional pain management at Harvard Medical School’s Massachusetts General Hospital in Boston, MA. 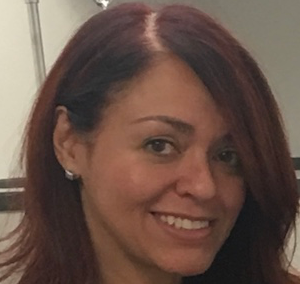 She is devoted to helping those suffering from acute and chronic pain and illness and seeks to maximize her patients’ daily functioning and quality of life. 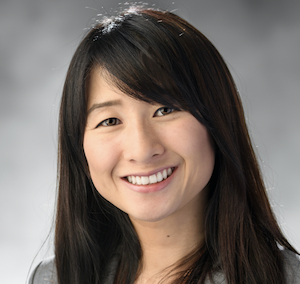 In her spare time, Dr. Qian enjoys spending time with her husband and two dogs in addition to writing chapters for textbooks on chronic pain & interventions.